I’m Getting Really Excited For Session, Maybe You Will Be Too. Playing Session was a really fresh, creative, and fun experience. I recommend checking it out. Session is a game that killed me when I saw the trailer for it during E3. 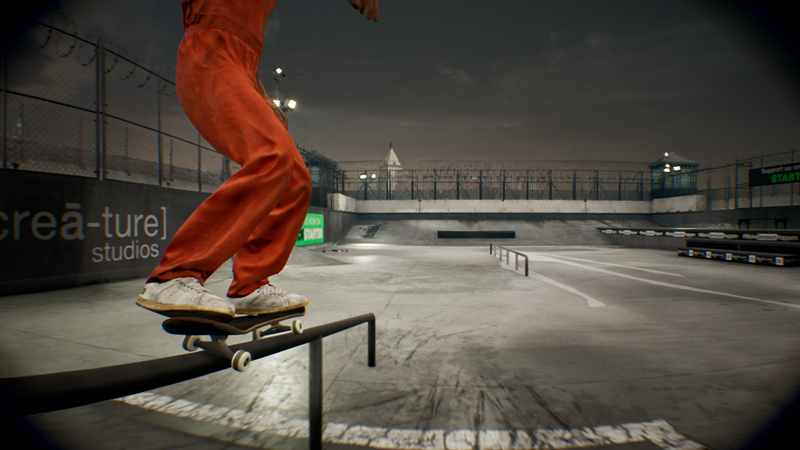 The reason it killed me is that I have been wanting a new Skate game for far too long. The games look so similar in their aesthetic. 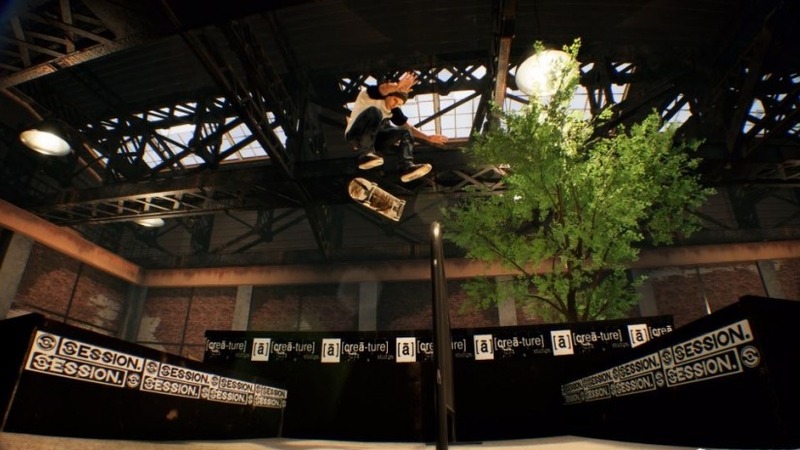 Once I got over the fact that we probably weren’t getting a new Skate game, I realized that I was rooting for Session to be a good successor at the very least. After digging around for more info on Session, I discovered they had a Kickstarter Demo and so I had to check it out. I was expecting a very bad experience but when I actually checked it out on stream it sort of blew me away. It was very very rough around the edges as to be expected, however, the concept of a more simulator oriented skating game is something new. I really couldn’t imagine how anyone could innovate on Skate without going into the realm of motion controls or VR. But this really puts you in a completely different headspace. To get more into how this game is different, you’ve gotta use either Tony Hawk’s Pro Skater, or Skate as a starting point for reference. 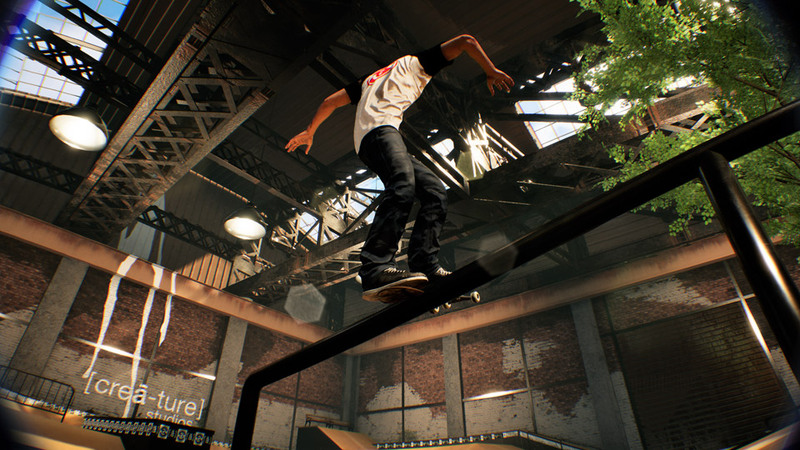 In Pro Skater you wind up getting to a point after spending enough time with that series that you’re focusing on combos and non-repeated tricks. You’re not so much planning your tricks or route or combos as much as your reacting to where you are, and which tricks you’ve already done. You spam buttons, and as you progress a specific run you start combo’ing the buttons you haven’t already tried, not so much focusing on what trick or how it works. You focus on reacting to the next closest rail, ramp, or obstacle that you haven’t used in your run as of yet. The same will happen with Skate given enough time too. 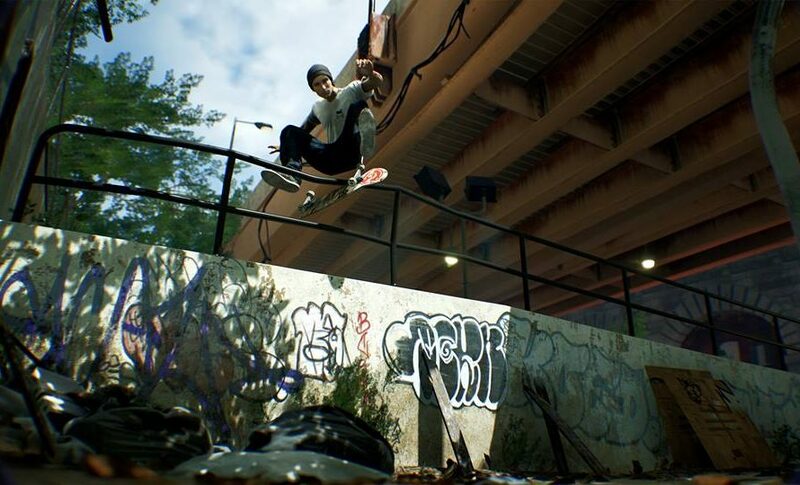 In Skate you focus more on how the tricks are done because you need to spend a lot more energy and focus on how you flick your joystick to perform different flip tricks. You’re still trying to perform combos in runs, you want to make sure you start including manuals, ramps, anything you haven’t used in a run as of this point. But you can get a lot more satisfaction out of playing on a stair set and just focusing on what flip tricks you can pull out. You can try to plan things out in this game before a run, but you can also get to the point where you’re reacting to which tricks you’ve most recently performed in a run. When it comes to Session, at least for now, you really have to expend the effort and energy to plan every single possible trick, turn, everything, this game doesn’t hold your hand. There are really no assists, you can simplify the controls a bit, but you need to line everything up and plan everything beforehand. Maybe after a crazy amount of time invested I can get it down and start reacting again but at its core, there’s still this level of difficulty that makes even the most basic thing so much more rewarding. I don’t want to get too into how the controls work but imagine how tricks are done on Skate, but now you’re using two sticks instead of one. The left stick controls your left foot and the right stick controls your right foot. You need to put weight on your back foot then pop with the other foot. These feet can switch, you may also wanna use nollie tricks in switch and all the flip tricks get changed around based on that. I spend a lot of time planning out a line, then planning which trick I can pull off into that line, let’s say onto a rail. I then need to plan out which foot to use in which direction for each grind I want to land in, then plan the trick I want to perform out of that grind. To tell you the truth, on skate I used to play competitively online and it was an amazing experience. On Session, I can plan my line and maybe perform a flip trick onto a rail, or a hubba, and then flip out and that’s about all I can do. Sure you can replace the grind with a manual if you want but after playing for a good 4 maybe even 6 hours I can’t for the life of me make a line consisting of two separate rails that I trick on and off of. I still can’t even get the hang of turning with my triggers, and I can’t really successfully rely on picking a random trick to flip into a grind unless I already have the skateboard perfectly lined up with the rail beforehand. The thing about the way this game feels different, not so much in its difficulty, but in the planning of every minute thing I do, is that it’s much slower paced and more rewarding. I’ve yet to play any skating game where I can enjoy thinking about what I can do on a given obstacle just as much as I can enjoy actually performing the trick. The first time I execute any planned trick winds up compounding the enjoyment I get out of performing that trick or combo, until I can successfully recreate that combo on the fly. I am seriously looking forward to everything this game is going to offer once its actually a fully fleshed out game. The current demo won’t compares to what this game will do when it has more than one tiny level to play with. I seriously recommend if you liked any skating game before this and felt that the next thing could be amazing that you try this thing out now. You can go play the really rough demo I tried from their kickstart over on indiedb here.